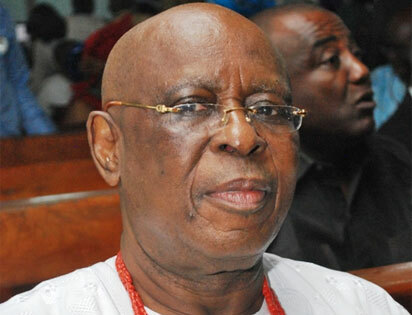 Former Governor of Ogun State, Aremo Olusegun Osoba and former Chairman of the National Human Rights Commission, Prof. Chidi Odinkalu will grace the Second Annual Conference of the Guild of Corporate Online Publishers. The conference will hold at Sheraton Hotel, Ikeja, Lagos State on Friday, October 19, 2018. A statement by GOCOP’s Publicity Secretary, Olumide Iyanda, disclosed that the theme of the conference is: ‘Online Publishers’ Role Towards A Sustainable Economy, Credible Election and Security in Nigeria.’ Osoba and Odinkalu will be the chairman and the guest speaker respectively. The Chairman, Centre of Excellence in Multimedia Technology, Department of Mass Communication, University of Lagos, Prof. Ralph Akinfeleye; and Director, ICT Centre, Federal University, Otuoke, Bayelsa State, Prof. Leonard Shilgba, will be the discussants. The Newspapers Proprietors Association of Nigeria, NPAN, Broadcasting Organisations of Nigeria, BON, Nigerian Guild of Editors, NGE, Nigerian Union of Journalists, NUJ, and other stakeholder groups in the media will be represented at the conference.